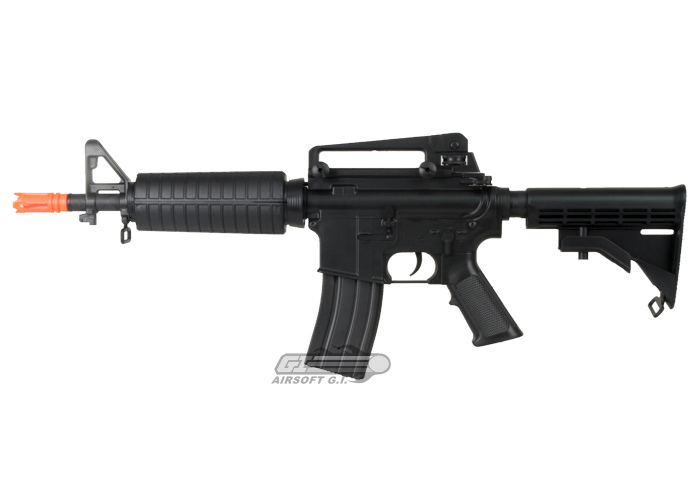 D Boy Entry Level M4 CQB AEG Airsoft Gun. 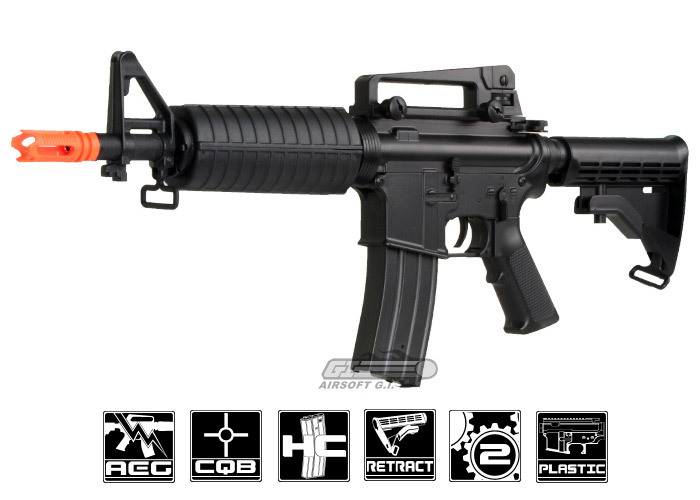 The D Boy Entry Level Full Plastic M4 CQB Airsoft Gun can be your first step into airsoft if you're unsure if you would like to continue playing this game. This gun is entirely made of plastic, the exterior and the interior, as a result the gun is extremely light. It comes with an 8.4v Ni-CD battery with mini Tamiya connector. This gun is compatible with most M4 magazines on the market today and the gun may even be compatible with some upgrades, do so at your own risk. This gun is just meant to give you a taste of what airsoft is like, for more serious players, Airsoft GI recommends looking into some of our other great airsoft products. This gun is pretty good! It's a TM exact replica. It has a functioning charging handle and dust cover, a dummy spring release, a removable carrying handle (hidden under is the rail platform), and it has a removable flashhider. This gun is pretty detailed, even has a realistic gas tube! The price is absolutely a steal for a gun like this! -95% of everything is plastic!